So said Sappho over 2,600 years ago and time has proved her right. Yet, until 2004, the world could read only three complete poems by the Lesbian poet. In that year, a fourth poem was discovered and, now, just this January, we have been given a fifth. More about the new poems in a moment. Be patient, and you'll be among the very first to read the newest of the new poems in an English translation which appeared only two days ago. But, first, a word about what we don't have. Some say there are nine Muses: how careless! Look -- Sappho of Lesbos is the tenth! Then, just a decade ago, a papyrus manuscript containing fragments of three of her poems, one previously unknown, was discovered in the archives of the University of Cologne. That papyrus (left) was found in the cartonnage of an Egyptian mummy -- that is, the flexible layer of papyrus strips which was moulded while wet into a plaster-like surface around a mummified wrapped body, so that designs could be painted on it. The text had been copied onto the original papyrus scroll early in the third century BCE, not much more than 300 years after Sappho wrote, which made it the earliest manuscript of her work then known. The scholars who unwrapped it realized that parts of the new poem corresponded to a fragment found in 1922 in one of the ancient rubbish heaps of the Egyptian town of Oxyrhynchus. In the Oxyrhynchus portion, we had only line-ends, preceded and followed by line-ends of other poems, and it was not clear where one poem ended and the next began. By putting all the bits and pieces together, rather like a jigsaw puzzle, they recreated a substantially complete poem of twelve lines, made up of six two-line stanzas. This brought the number of Sappho's complete poems to four. As 'A New Sappho Poem', it was published in the Times Literary Supplement (TLS 24 June 2005) with the 'new' original Greek and an English translation by Prof. Martin West, emeritus fellow of All Souls, Oxford, a renowned translator of Greek lyric poetry, and on any reckoning the most brilliant Greek scholar of his generation. Remarkably, within a month, two poets, Lachlan Mackinnon and Edwin Morgan, published further translations with slight differences in tone and emphasis, also in the TLS (click on their names to read them). Three translations in so short a time feels like an embarrassment of riches! But me - my skin which once was soft is withered now by age, my hair has turned to white which once was black, my heart has been weighed down, my knees give no support which once were nimble in the dance like little fawns. How often I lament these things. But what to do? No being that is human can escape old age. For people used to think that Dawn with rosy arms and loving murmurs took Tithonus** fine and young to reach the edges of the earth; yet still grey age in time did seize him, though his consort cannot die. I imagine that Sappho's contemporaries must have heard a song ringing something like this, perhaps responding to it as did Solon ( ca. 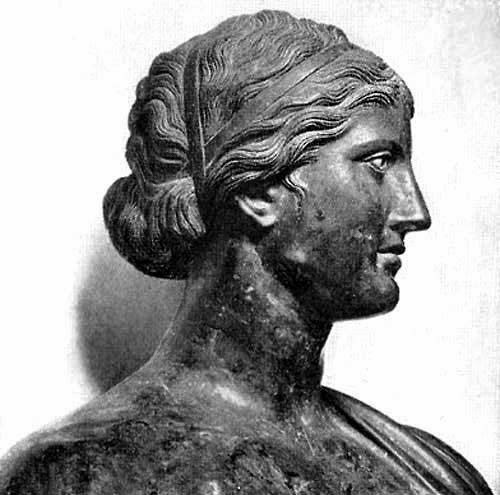 638-558 BCE), ruler of Athens and no mean poet himself, who asked for someone to teach him her song "so that I may learn it and die." Papyrus fragments that were recycled as mummy casings continue to surface on the market, since many of them belong to private collectors. Last year, a very lucky private collector walked into the office of Dirk Obbink, Lecturer in Papyrology and Greek Literature at Oxford University and Director of the Ancient Lives Project for imaging papyri. The anonymous collector, who presumably had no idea of what it contained, showed Dr Obbink a tattered scrap of papyrus, probably dating to the late 2nd or early 3rd century CE. The papyrologist quickly realized what he was looking at -- "indubitably" in his words, parts of two previously unknown poems by Sappho. Dr Obbink asked for permission to publish the papyrus and his preliminary article, which includes a transcription of the fragmentary poems, has just appeared in an on-line version (link restored). This is a spectacular literary discovery. One of the poems is remarkably well preserved, with just a few letters missing and not a single word in doubt. Elements of this longer poem link up with fragments already known to be by Sappho, while the metre and dialect in which the poems are written point to her as well. The clincher is a reference to her brother, Charaxos – who is named by Herodotus, the fifth-century BC historian, when describing a poem by Sappho that recounts the tale of a love affair between Charaxos and a beautiful slave in Egypt; as well as to her younger brother Larichus who was previously known only by name. Appropriately, this has been dubbed 'the Brothers poem'. Would we be swiftly freed. The new Sappho papyrus probably came from Egypt and perhaps from Oxyrynchus, but its provenance may never be known. A thriving black market for papyri means that many of them emerge not from archaeological digs but from souks, bazaars and antiquities shops. And there are yet more thousands of unpublished papyrus fragments in museum and university collections. The bottom line: two papyri with 'new' poems by Sappho have appeared in just the last ten years. There is hope, there is hope. * Most unusually, this text (Edmonds [Loeb 1928] Lyra Graeca 1a) comes not from a papyrus but from a vase painting. Translation by Mary Barnard, Sappho: a New Translation, Berkeley, 1958, no. 9. ** As in so much Greek poetry, Sappho invokes myth to make her point. Tithonus was a youth so beautiful that the dawn-goddess took him as husband. At her request Zeus granted him immortality. But she forgot to ask for eternal youth. So, unlike his immortal lover, Tithonus grew old and feeble, having eventually to be shut in his chamber "where he chatters away endlessly but barely has the strength to move", as Dr West says. Dr Janko has a more elegant explanation: a crucial feature of the myth of Tithonus familiar to Sappho’s contemporaries, but unknown to all but a few of her readers today, is that, in legend, the aged Tithonus turned into a cicada, a 'singing' insect that the Greeks thought had an immortality of a sort, since it rejuvenated itself by shedding its skin. Thus, Tithonus can continue to sing for ever -- an ideal image for the aged poet herself, with her wish to have her poetry win glory beyond the grave. ** Edmonds (Loeb 1928) Lyra Graeca 76. Translation by Mary Barnard, Sappho: a New Translation, Berkeley, 1958, no. 60. 1. Who was first to translate the 'Brothers Poem' into English? Tim Whitmarsh (who is quoted above) was certainly first to publish in the major media (The Guardian and, again, in HuffPost Culture UK), both appearing on 30 January. But he may have been pipped at the post by Steve Dodson who translated the poem on his blog LanguageHat, as 'New Sappho!' on 29 January (followed by an interesting discussion and revisions in the comment section). But the first first-prize really must go to the eminent literary critic (and author of Sappho's Gift: The Poet and Her Community [in Italian 2007; in English 2010]) Prof. Franco Ferrari whose translation into Italian appeared on the 19th of January at Roberto Rossi's website, Il grecoantico: versioni, cultura, testi, letteratura, 'Se Larico diventasse finalmente uomo! A real treat for my Italian readers. and fervidly wish to call back to you? This is normally what you get, the little that remains of nearly all of Sappho's poems -- which underlines just how exceptional is the virtually complete 'Brothers Poem'. 3. All is not well in academia. Dr Dirk Obbink has taken his draft article off-line (so it's no use clicking on the link given above; it is broken) after being harshly criticized for pre-publishing the new Sappho papyrus which is without provenance and the property of an anonymous collector. 5 February 2014: the link has been restored. Strictly speaking, scholars are not supposed to publish dodgy papyri, however enticing (and authentic) their contents. 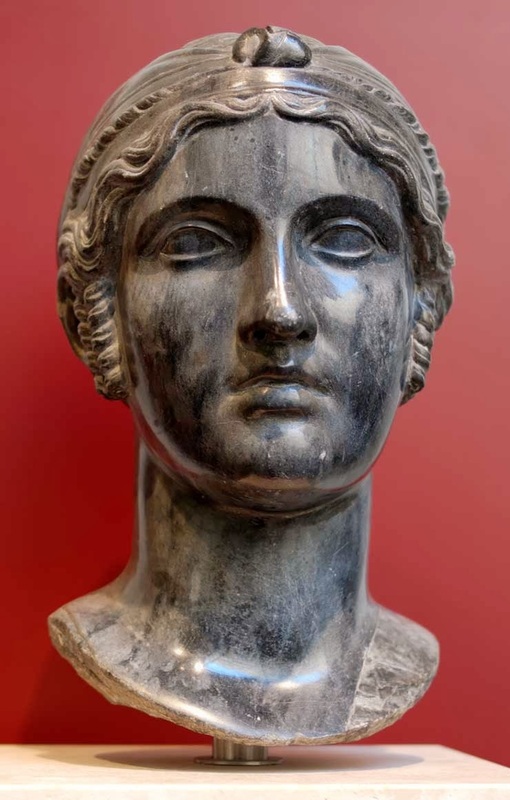 The increasingly acrimonious tone of blogging and twittering is best caught on Adrian Murdoch's Bread & Circuses blog, 'Growing Anger at Lack of Response to Sappho Discovery'. I, for one, hope that Dr Obbink will come back on-line to calm his critics. More updates will possibly follow. Dirl Obbink returns to the fray with a punchy article, 'New Poems by Sappho', in the Times Literary Supplement (TLS 5/02/14), that staunch support of Oxford dons. He calls the new Sappho poems 'an Oxford secret' -- which is a secret you tell one person at a time. It seems to me that he may have intended his pre-publication online draft simply as an alert to papyrologists -- hence, the new texts were given in Greek only -- whereas the TLS is meant to reach a wider educated and academic audience. Perhaps he hadn't planned on Sappho going viral. Of especial note, Dr Obbink writes about provenance, telling us first that "the papyrus’s text was found to overlap, in two narrow vertical bands of letters, with fragments of two previously published papyri containing fragments of Sappho." If I understand correctly, this fragment is from the same scroll as two fragments published long ago, which presumably had passed provenance muster. And he states unequivocally that it has "documented legal provenance." I hope this closes the rather sordid episode of loud whispering and twittering. The TLS article also gives a new English translation of the 'Brothers Poem' by Christopher Pelling, Regius Professor of Greek at the University of Oxford. It seems, doesn't it, that Sappho and Oxford go together like love and marriage. And there is a translation, too, (also by Prof. Pelling) of the fragment now dubbed the 'Kypris poem'. Which translations do I prefer? Ah, that's an Oxford secret. Top: Bronze Bust of Sappho. Roman copy of Greek original of ca. 350 BCE, Naples, Museo Archeologico Nationale, Inv. 4896. Photocredit via King's Collections, King's College London. Above left: University of Cologne Papyrus (2004). Photocredit via William Harris, Sappho: New Poem No. 58from the Koln Papyrus. Middle left: Portrait of Sappho, identified after other inscribed portraits representing the poet with the same hairstyle. Black basalt, modern copy (16th–18th centuries) after a Greek original, possibly an ancient bust reworked. Photocredit: From the Kircherian Museum in Rome, Accession number Inv. 65167, Photographer/Source Jastrow (2006). Bottom left: Plaster cast of middle-to-late 1st century BCE bronze bust from the peristyle garden of the House of the Papyri, Herculaneum; Allard Pierson Museum, Amsterdam, Inv. Nr. 16162. The Allard Pierson is doing a clever fund-raiser, Haal ons van zolder (Take us down from the attic) to move their many beautiful plaster casts of Greek and Roman sculpture into newly furbished public exhibition rooms. To pay for the costs of the move, they are 'auctioning off' the casts. Sappho cost just Eur 75 -- I 'bought' her, so she should be on her way out of the closet quite soon. This post is fascinating Judith. I have heard so much about Sappho's poems so thank you for all the information you kindly share with us. I studied Classical Archaeology at the University of Oxford (M.Litt.) and am a member of the British School at Athens. I excavated for many years on Crete and on the Greek mainland and travelled extensively in the Middle East. I have lived and worked among the ruins of the three great Caravan Cities: Petra, Palmyra, and Baalbek. It was at Palmyra in Syria that I began to tell the story of Zenobia, Queen of Palmyra, and the rebellion that she led against imperial Rome. I was living within the grounds of the Temple of Bel, and at night, when the great gates of the temple were shut, I came closer to the spirit of the time and place than probably anyone has ever done before. I know that I felt very close to Zenobia, which made the book a joy for me to write. 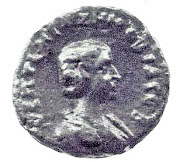 IS THIS ZENOBIA'S REAL PORTRAIT? 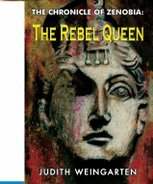 "Judith Weingarten, author of The Chronicle of Zenobia: The Rebel Queen writes about gods, kings, war and chivalry here. 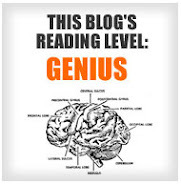 Written with pace and verve it is a fantastic and exciting analysis." 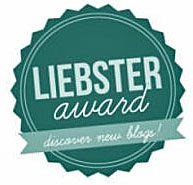 "I really find Judith Weingarten’s blog to be excellent, and really worth any attention it can get." "Short and spot on - it is an excellent piece of writing." "Judith's blog, Zenobia: Empress of the East is a treasure trove of insights into early history, but also the explorers, scholars and archaeologists who uncovered the ancient world." A genius for intrigue and a thirst for power? Christmas: Whose Christmas Is It Anyway? Cleopatra Thea or Cleopatra VII? Eti, the Eritrean Queen of Punt? How to Feed a Pregnant Neanderthal? More Uppity Women IV ... onwards! More Uppity Women IV ... still onwards! Philip the Arab, Was he a Secret Christian? Were Prehistoric European Cave Artists Female?